Fish is a animal source protein. It is one of the neglected areas because of unawareness among farming community, unfavorable government policies and high inputs involved in fish farming. Fish being rich in nutrients can help to alleviate the malnutrition of the local population. Fish plays an important role in the diet of the people of developing nations. In India, fish and fishing contribute immensely to the national economy by providing high animal food protein and generating employment, which is a means of poverty alleviation. Most importantly, it is the source of livelihood for a large section of economically backward population of the country. Integrated livestock farming will be novel approach for profitable and rumerative fish production. Poultry droppings can be a good source of nutrients for enhancing the productivity of aquatic production systems. 1 Adewumi, A. A., Adewumi, I. K. and Olaleye, V. F. 2011. Livestock waste menance: fish wealth solutions. African Journal of Environmental Science and Technology, 5(3): 149-154. 2 Bhakta, J. N., P. K. Bandyopadhyay and B. B. Jana. 2006. Effect of different doses of mixed fertilizer on some biogeochemical cycling bacterial population in carp culture pond. Turkish Journal of Fisheries and Aquatic Science, 6: 165-171. 3 Chauhan R.S., A.P. Sharma and U.P.Singh. 1998. Recycling od duck excreta and its impact on fish production. Himalayan Journal of environment and zoology. 12: 43-48. 4 Dhawan, A. and Kaur, S. 2002. Effect of pig dung on growth and reproductive potential of Cyprinus carpio. Indian Journal of Fish, 49(1): 103-106. 6 Hopkins, K. D. and E.M. Cruz. 1982. The ICLARM-CLSU Integrated Animal-Fish Farming Project: Final Report. ICLARM Technical Report 5. Manila: International Center for Living Aquatic Resources Management. 7 Jha, P., K. Sarkar and S. Barat. 2004. 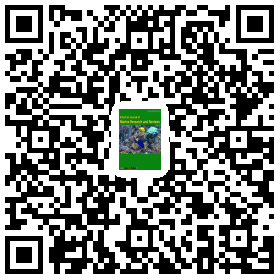 Effect of different application rates of cowdung and poultry excreta on water quality and growth of ornamental carp, Cyprinus carpio vr. koi, in concrete tanks. Turkish Journal of Fisheries and Aquatic Science, 4: 17-22. 8 Majumdar, S., Biswas, S. and Bharat, S. 2002. Abundance of ammonifying and heterotrophic bacterial populations in the water manured with cowdung and distillery sludge in outdoor model tanks. 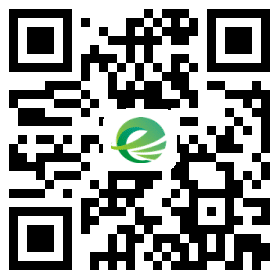 Asian Journal of Microbiology, Biotechnology and Environmental Science, 4: 229-233. 10 Priyadarshani, M., Manissery, J. K., Gangadhara, B. and Keshavnath, P. 2011. Influence of feed manure and their combination on the growth of fry and fingerlings. Turkish Journal of fisheries and Aquatic Sciences, 11:577-586. 11 Razvi, M. 2006. Lahore-absolutely fishy: Nutritional value. The Review Dawn, 12- 13pp. 12 Sandhu, G.S. 2005. A Textbook of Fish and Fisheries. Dominant Publishers and Distributors, New Delhi. pp. 39-40. 13 Sevilleja, R., Torres, J., Sollows, J. and Little, D. 2001. Using animal wastes in fish ponds. M. Halwart, J. Gonsalves and M. Prein (Eds. ), Integrated agriculture aquaculture: A primer, FAO Fisheries Technical Paper 407, FAO, Rome: 49-53. 15 Tuleun C.D. 1992. The utilization of heat-treated poultry manure in chicks diets. Paper presented at the 1st Annual Conference of the National Society of Animal Production, Abuja, 23rd-27th, March. 1992. 16 Woynarovich, E., 1980. Raising ducks on fish ponds. In: R.S.V. Pullin and Z.H. Shehadeh (eds.). Integrated agriculture aquaculture farming systems. ICLARM Conf. 4: 129–134. 17 Yildrim, O. 2008. Aquafeed industry in Turkey: its aquafeed projections towards the year 2015. Turkish Journal of Fisheries and Aquatic Science, 8: 93-98.